Marketing Automation Software That Maximizes Lead Generation. 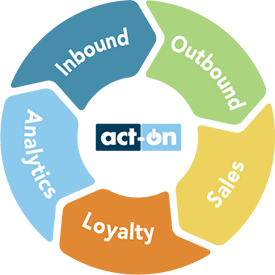 Act-On's marketing automation tools help your team automate personal exchanges, deepen customer loyalty, and close more qualified leads. With Act-On Marketing Automation, you’ll be able to better track, score, measure, connect, learn, and adapt your marketing efforts to individual buyer journeys. As an Act-On Reseller partner, we are experts in implementing marketing automation tools. An integrated CRM and marketing automation solution will help you maximize productivity between your sales and marketing teams. We publish a wealth of tips, customization examples, and reviews of useful tools that work with Act-On. To learn more visit our blog. Over 82% of all product research begins with a web search. Learn effective tactics to turn your website into a lead generation machine. Learn why your organization should upgrade from email to a marketing automation solution. 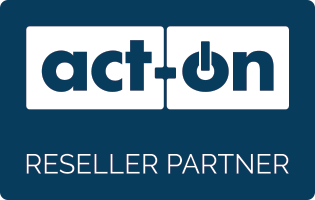 Learn why Act-On is the stand-out leader in marketing automation during a free customized demo to your organization. This Act-On update includes enhancements related to the Media Library dialog box and addresses issues identified in previous versions. This Act-On update includes enhancements related to Forms' Editor modal message and addresses issues identified in previous versions. This Act-On update includes enhancements related to how fast the forms list page is loading and addresses issues identified in previous versions.